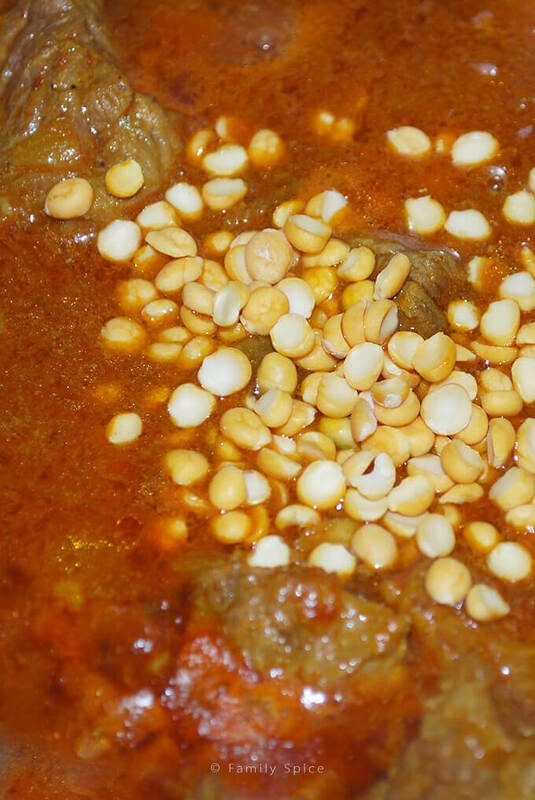 Persian Eggplant Stew (khoreshteh qiemeh bademjoon) is a classic Persian stew made with fresh eggplant, tomatoes, yellow split peas and pickled sour grapes. To say that I am lagging and falling behind in everything is an understatement. I remember when I was working in advertising, putting in 60 hours a week, getting calls at night or over the weekend when things went wrong and I thought I was busy. I was single. Ha! Ha! Ha! I had no idea what busy meant. I say that to my young cousins who are working in the real world now and to anyone who doesn’t have children. You really don’t know busy until you have kids. I still fight the fact that I don’t get everything done, whether it’s the laundry, the dishes, the errands, the cleaning, the website or the other hundreds of items on my to-do list. It’s a miracle that I am able to work on this blog a couple times a week! We had the pleasure of having some friends over for dinner and they wanted to sample Persian food. I made this wonderful meal … back in October… and now I am finally posting it. Of course, I won’t go on and on about the hundred other recipes that I have made and haven’t had a chance to post yet. Let’s stick to this one for now. Small steps, small goals. 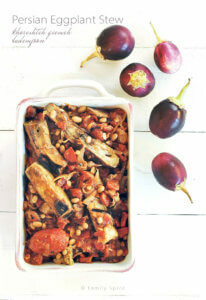 This Persian Eggplant Stew (khoreshteh qiemeh bademjoon) is a classic dish in Persian cuisine. I adore Persian stews because they feature wonderful flavor combinations and vegetables. 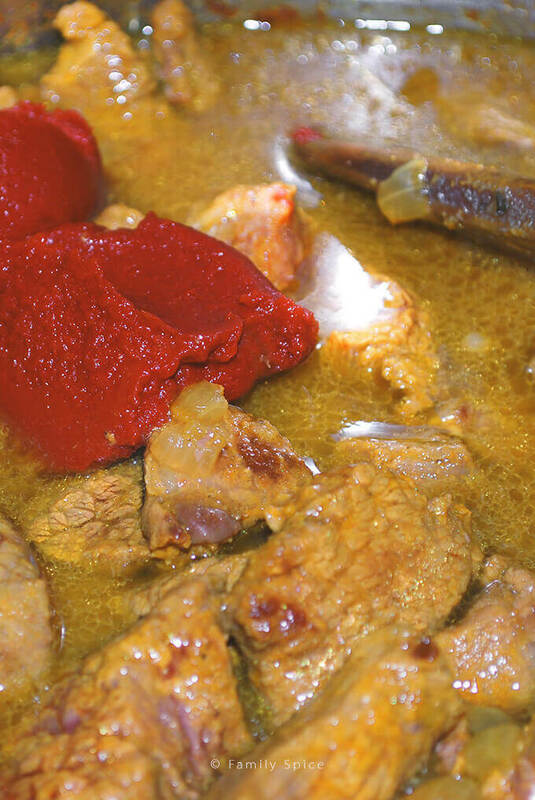 This is a tomato-based stew and it’s preparation is very similar to several other Persian stews. I made this eggplant stew with beef stew meat , but I have also done it with lamb shanks as well as chicken. It can easily be adapted for vegetarians, too. 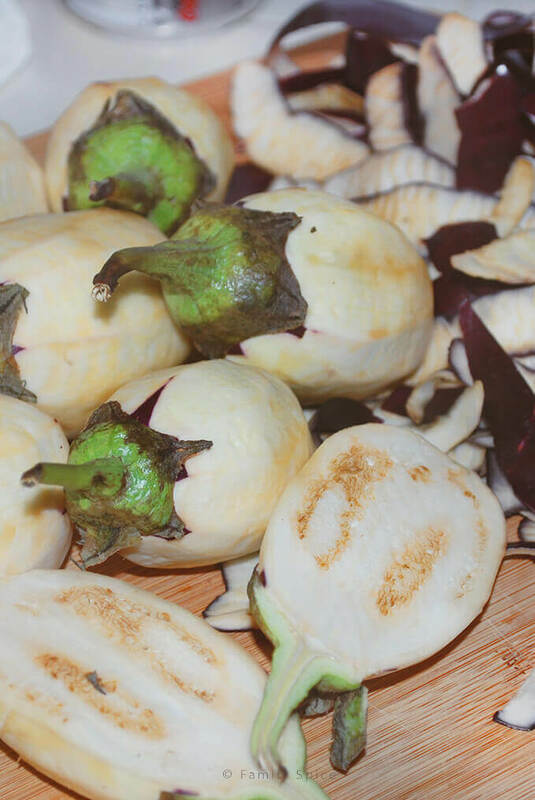 You can also use the many forms of eggplant, too: the large American versions (cut into rounds), the small Italian sized (halve them lengthwise), and even the long Chinese eggplants (cut them into manageable pieces). I’ve made stews with all of them at one point in time. So this version uses the flavorful mini baby eggplants. For the sour factor, again you have several options. Iranians love our dried limes and you can use them, in powdered form or whole. If you can’t find these limes, you can also use lemon juice. 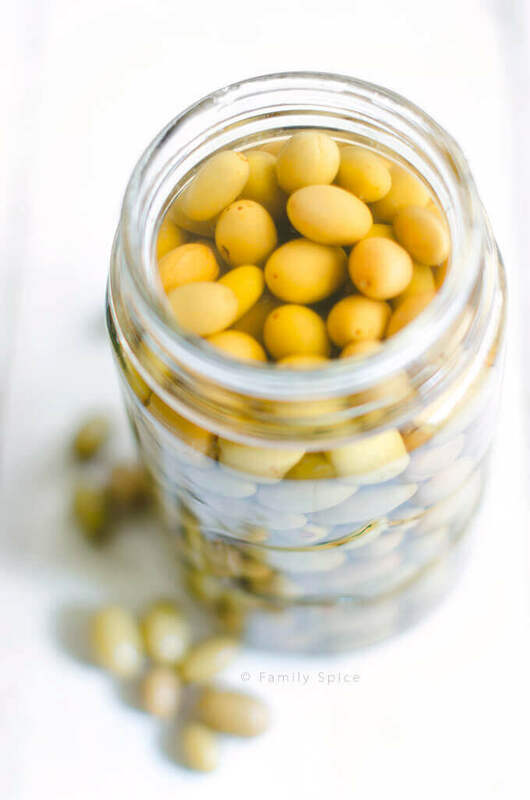 Another source of sour are pickled sour grapes, or goureh. Sounds strange, but these bite-sized bits of sour and delicious in this dish. It is the preferred form of sour for my family’s eggplant stew. And with most Persian stews, they taste better the next day. This is definitely a dish that you can make ahead 2 days in advance and just reheat for your dinner party. And for me, making a spectacular dish over the course of a couple days, helps me out a lot. Have you ever tried to get anything done in the house with three kids and a hundred different interruptions? I swear that my being on the telephone or computer is a magnet for the kids, drawing them to me from all parts of the house, like a radar: Find Mommy! Find Mommy! Find Mommy! Well, I suppose I will find more time when my baby Princess starts kindergarten in the fall. But, I know I will be a sobbing mess then, so I will enjoy these interruptions and delays for as long as I can! Place eggplants in colander over the sink for at least 30 minutes. Reduce heat to low and simmer for 2 hours. 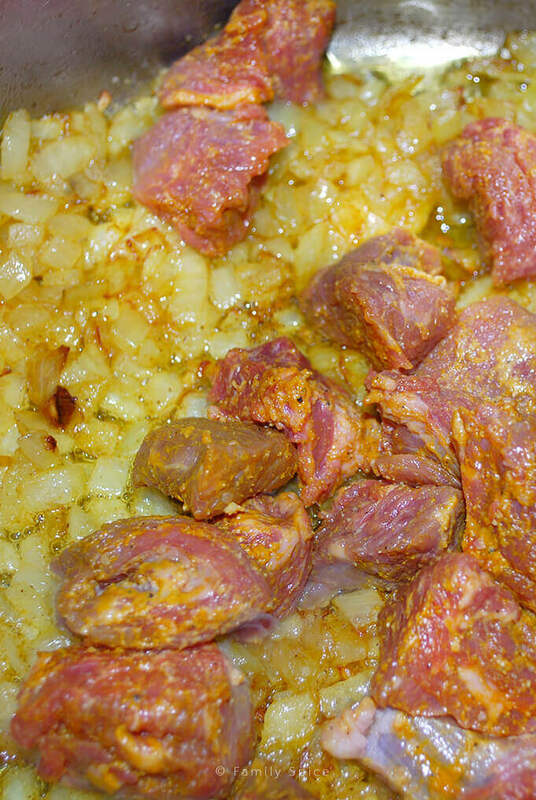 Stew can be refrigerated 3-4 days before serving at this point. Flavor is enhanced the longer it sits. When eggplants are beading with sweat, after 30 minutes, squeeze dry with paper towels. 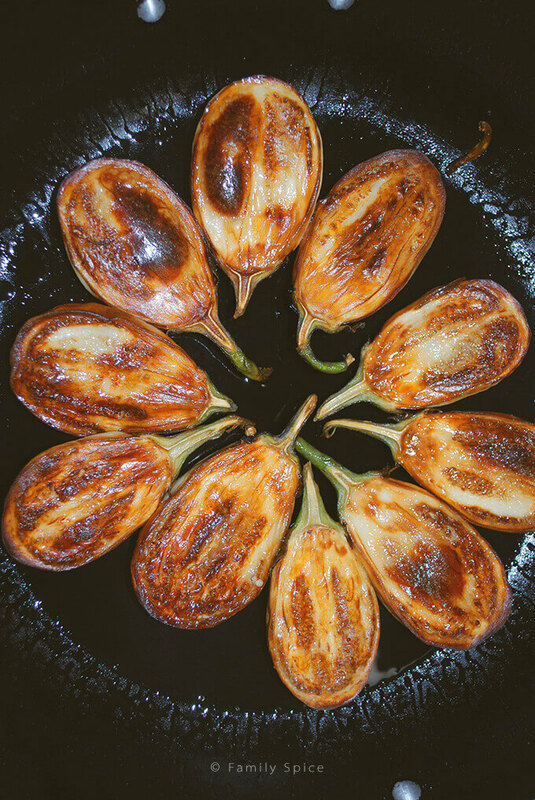 Fry eggplants in batches until both sides are browned. Add more olive oil as needed. 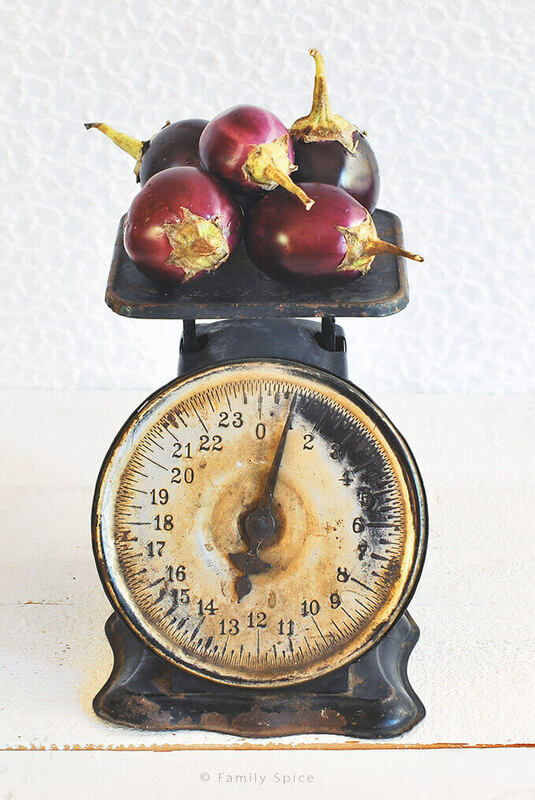 Drain fried eggplants on paper towels to remove excess oil and reserve. In a 13x9-inch pyrex dish, pour stew in. Layer fried eggplant over it. Serving Suggestions: Serve with basmati rice. Cooking Tips: You can also substitute the beef stew meat (feature picture) with 3lbs of lamb shanks (with bone) or with 4 lb fryer chicken (cut up) (pictured above). Increase baking time in the oven to 45-60 mins. For vegetarian stew, substitute beef broth with any vegetable broth and increase yellow split peas to 1/2 cup. * Substitute dried limes for 1/4 cup fresh lemon juice. Hi, I like your website. Your way of writing and your strength of handling family and working. My husband is Persian and I like to learn making Persian food then we can enjoy together. Thanks for a wonderful website. Thank you! I know what it’s like to cook for a Persian man – GOOD LUCK! LOL!